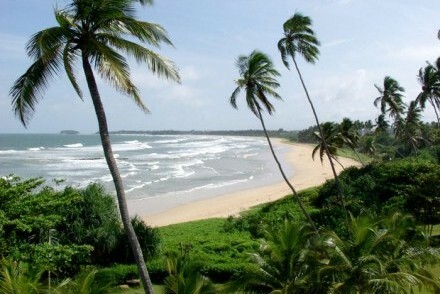 Our Sun, Sea & Sand Sri Lanka – East/West itinerary is a 16-day taster holiday for lotus eaters! 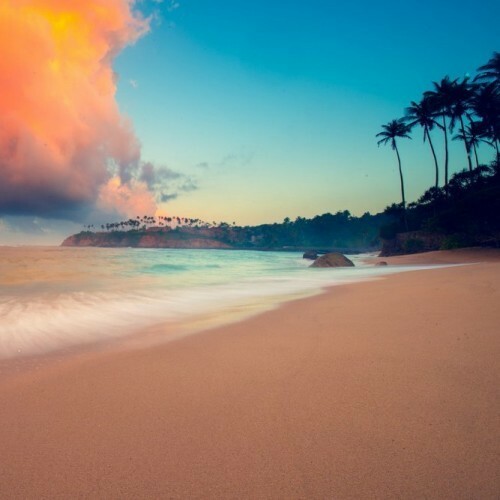 Depending on the monsoon season, the beaches on either the east coast (May to October) or west and south coasts (November to April) are best. 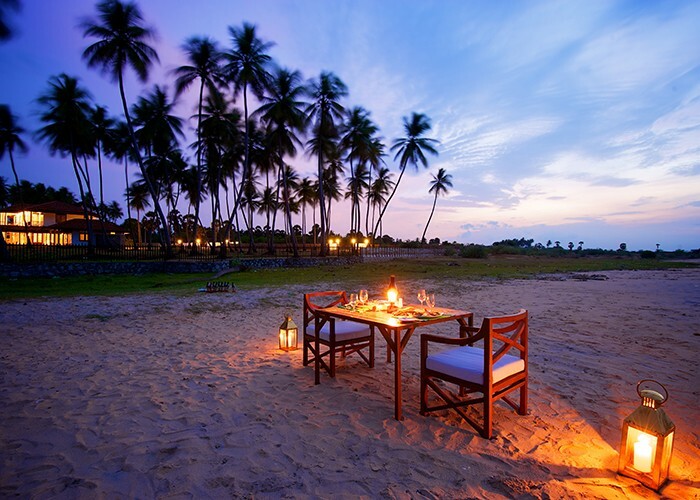 Our chosen east coast beaches are Nilaveli, Passekudah and Arugam Bay, while our west and south coasts favourites are Kalpitiya, Bentota and Tangalle. The accommodation is a combination of iconic hotels and a beachside villa (East Coast) or a cabana, villa and intimate beach hotel (West and South Coasts). Unlike Sri Lanka, most visitors stay in one island resort for their entire time in Maldives and all resorts offer a beach holiday! Take a look below at the outline itinerary as an inspiration for creating your own beach holiday. 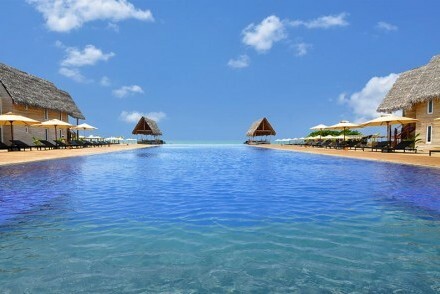 Includes flights, accommodation, transfers (a/c transport) & taxes. 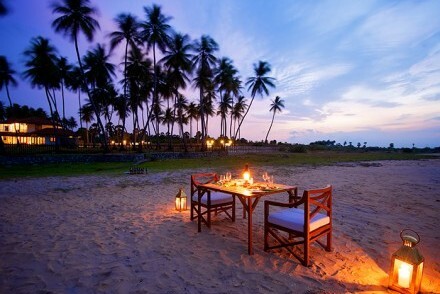 Head up to the Kalpitiya peninsula for four nights. Arrive at Palagama Beach Resort, which is a unique and captivatingly quirky retreat situated on a deserted two-kilometre stretch of pristine private beach in an undiscovered part of the island. 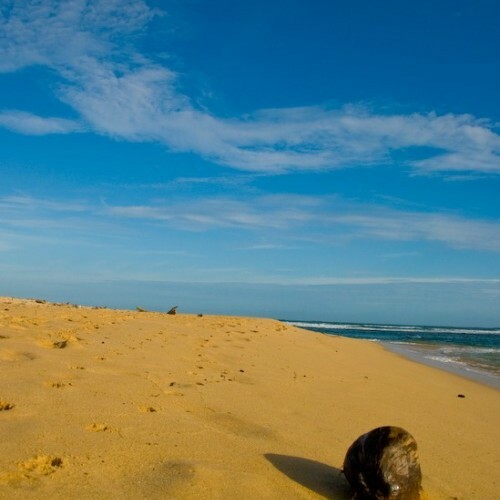 The resort offers a relaxing, discrete and romantic getaway for a truly sand-between-the-toes, Robinson Crusoe experience! The resort has a swimming pool and offers canoeing, kayaking, sailing, kite surfing and cycling as well as dolphin/whale-watching excursions. 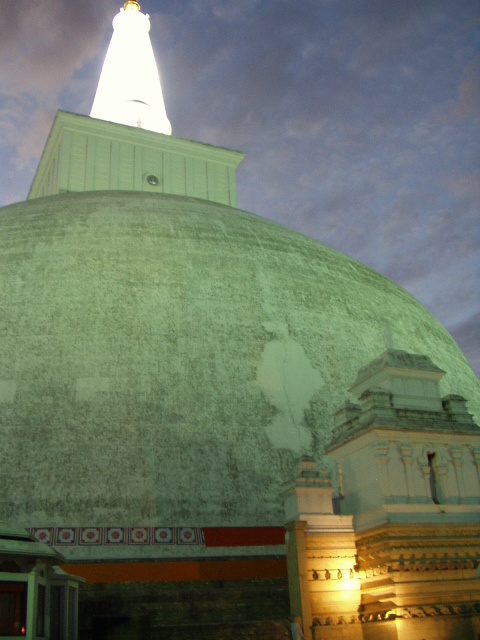 Visit Anuradhapura, the first capital of ancient Lanka in the 3rd century BC. 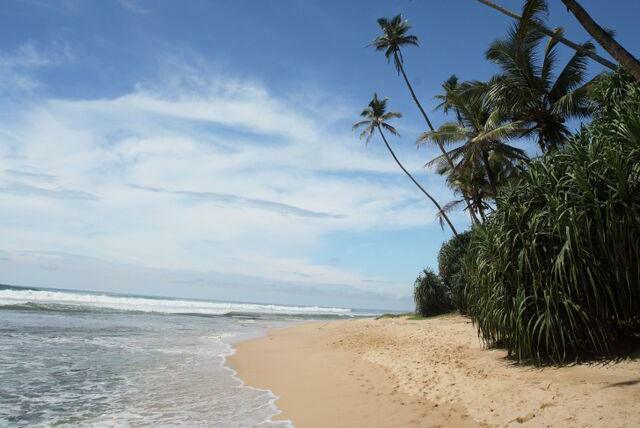 Drive south along the west coast for four nights at Club Villa, Bentota, which is a spacious and elegant 19th-century Dutch-style villa, designed by Geoffrey Bawa, Sri Lanka’s most celebrated contemporary architect. It is tastefully furnished with period pieces of Dutch and Sri Lankan origin, murals, batiks and heavy raw cotton curtaining, and offers a relaxed atmosphere around a palm-fringed swimming pool, with beautifully manicured lawns peppered with coconut palms. Afternoon’s boat safari around the coastal lagoons and mangrove-clad waterways of the Madu Ganga near Balapitiya. 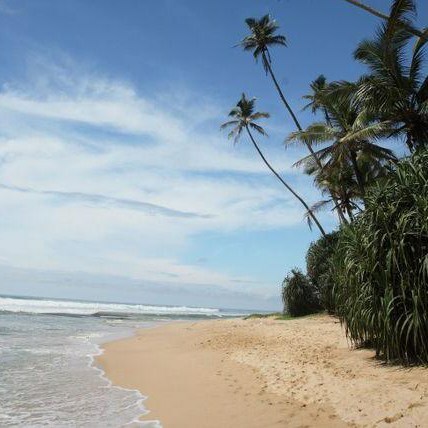 Guided tour of the house and gardens of Lunuganga near Bentota, which were lovingly created over several decades by Geoffrey Bawa as his vision of a tropical garden idyll and one of the lasting legacies of Asia’s most famous architect. 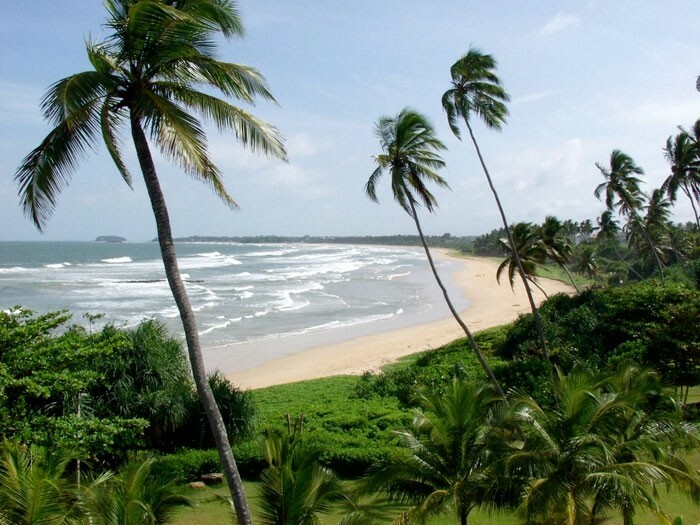 Visit the tropical garden paradise of Brief near Bentota, the life’s work of the late Bevis Bawa, renowned bon viveur and brother of Geoffrey. 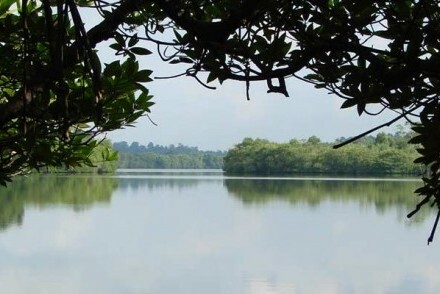 Early morning boat safari through the mangroves and lush vegetation along the Mahamodara River near Galle, which offers great opportunities for spotting birds, butterflies, monitor lizards, and much more! Continue further south along the west coast to Galle before heading east along the picturesque southern coastline to Tangalle for five nights. Arrive at Buckingham Place, which is nestled between a deserted Indian Ocean beach and Rekawa Lagoon close to the fisher and farmer village of Rekawa. 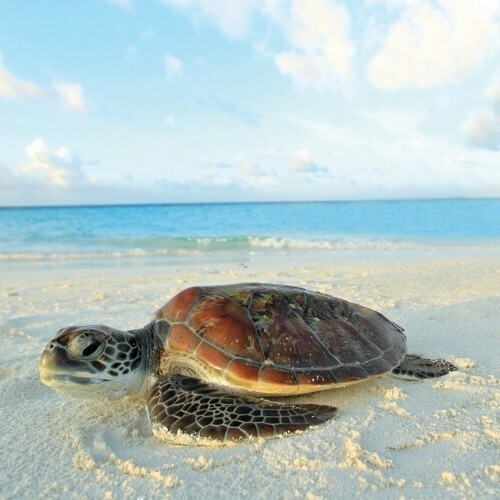 The stunning beach – a treasured eco-gem – provides safe nesting for up to five species of sea turtle, while in the other direction, magnificent birdlife is amply protected by lagoon mangroves and the wildlife rangers. Expect something different. Contemporary and stylish in design but not sterile or soulless, this sleepy, out of the ordinary, out of the way place to stay lacks only the madding crowds and a rapid laundry service! Visit the most imposing rock temple in the south of the island at Mulkirigala, which is situated on an isolated rock 210 m high rising almost vertically from the surrounding forest and believed to have been founded around 130 BC. After dark, drive to Rekawa to visit the Turtle Conservation Project to see turtles laying eggs on the beach (hopefully!). Early morning boat safari off the south coast from Mirissa to spot Blue Whales, the largest animal on Earth! 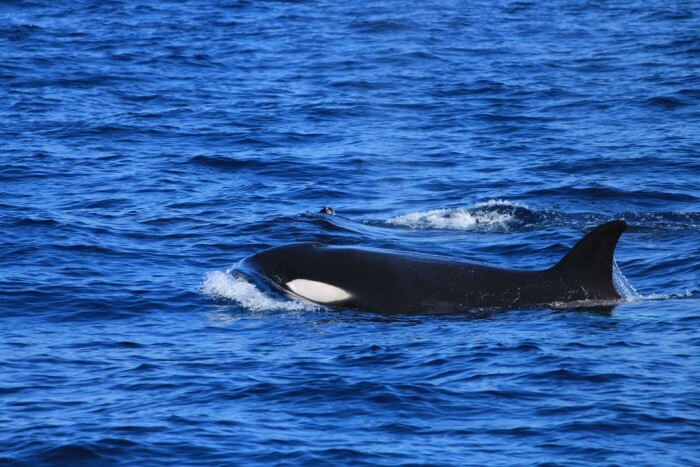 Sperm, Humpback and Fin Whales as well as large pods of dolphins are also regular sightings. 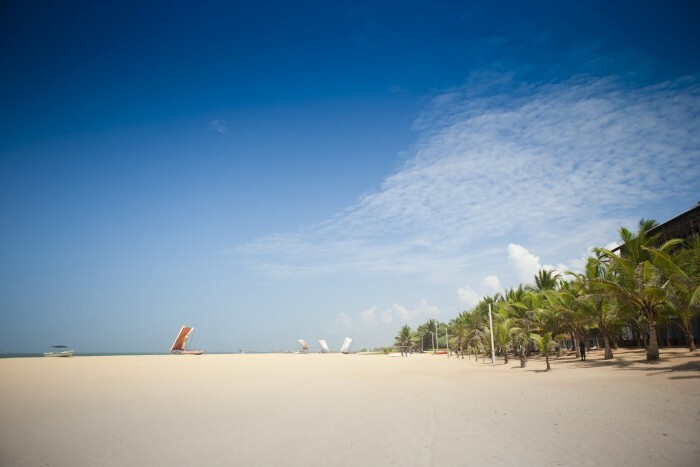 Return north to Negombo on the island’s west coast near to the airport for an overnight stay before the flight home. Drive up to Dambulla in the island’s Cultural Triangle. 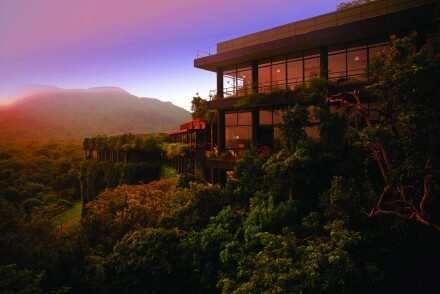 Overnight at Heritance Kandalama, which was designed by Geoffrey Bawa, Sri Lanka’s most celebrated contemporary architect. The hotel was the first luxury eco-hotel built in Asia (Green Globe 21 certified) and it is set in its own 250-hectare jungle retreat with unimpeded views across wetlands to Sigiriya rock fortress. 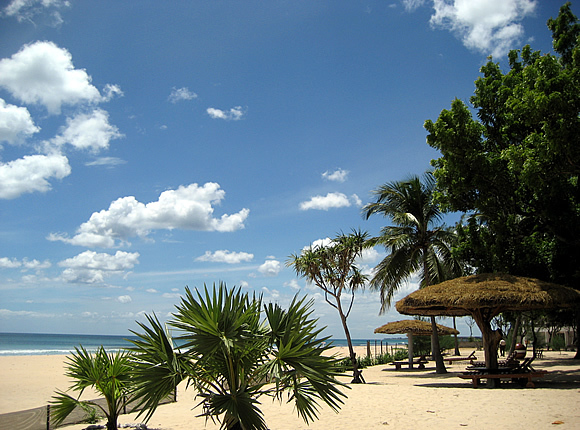 Continue northeast to Nilaveli on the island’s east coast, which is 16 km north of Trincomalee. Four-night stay at Nilaveli Beach Hotel, which has a superb beachfront position within a palm grove overlooking nearby Pigeon Island, a popular excursion for snorkelling trips. The shady garden is a welcome haven during the heat of the day, with a large swimming pool to cool off in and a beachside cabana bar serving light meals, including lunch. 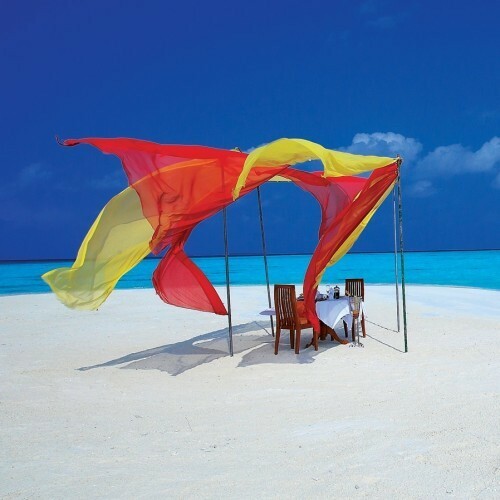 The hotel opens out directly onto Nilaveli’s soft white sandy beach that seems to stretch endlessly along the east coast and which is lapped by the clear shallow waters of the azure blue Indian Ocean. Guided tour of Trincomalee, including visits to Fort Frederick, a 17th century Portuguese-built bastion and a stalwart of the city’s defences, and Koneswaram Kovil, one of the five most holy Shaivite temples on the island. Visit the naval base at China Bay in Trincomalee. Boat trip to Pigeon Island for snorkelling. Whale-watching boat safari off the east coast to spot Blue Whales, the largest animal on Earth! 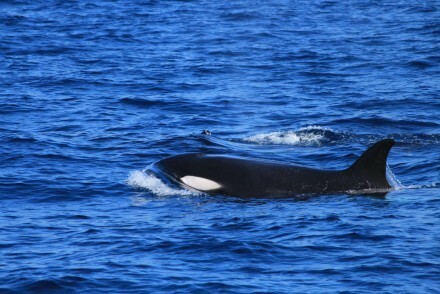 Sperm Whales and large pods of dolphins are also regular sightings. Visit Kanniyai Hot Springs, which according to legend were created by Lord Vishnu. 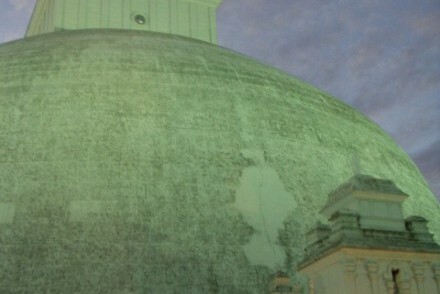 Visit Velgam Vihara, a Buddhist temple complex believed to date back to the 3rd century BC. Head south along the east coast, via Trincomalee and Passekudah, to Pottuvil for four nights at Kottukal Beach House by Jetwing, which is a stylish and modern oceanfront villa in a superb location adjacent to an untrammelled sandy beach and an unexploited surfing breakpoint. Wide, open verandas and high ceilings complement the tastefully decorated and furnished interiors in keeping with the natural aesthetic of the villa. The two in-house bedrooms and two garden chalets feature an attached bathroom and a private balcony or terrace overlooking the swimming pool. Jeep safari in Kumana NP, one of the island’s principal bird sanctuaries, which hosts tens of thousands of migratory birds between April and July, and also home to leopards, sloth bears and elephants. Jeep safari in Lahugala Kitulana NP, one of the smallest national parks in Sri Lanka, but despite its diminutive size, the park is an important habitat for elephants and endemic birds, particularly during July and August. Return north along the east coast to Passekudah. Arrive at Maalu Maalu Resort & Spa for four nights, which is conceived as a traditional Sri Lankan fishing village, or ‘Waadiya’, with the simple eco-friendly architecture being inspired by the wooden-clad dwellings of a typical fisherman’s hut. The rooms and adjoining public areas are designed to seamlessly blend with the surrounding environment. Each chalet, with its ‘cadjan’ (thatched coconut palm leaf) roof, elegantly highlights the indigenous Sri Lankan culture; the modern amenities are subtly introduced, tastefully combining the old and the new. 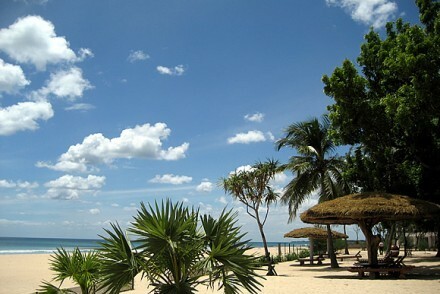 Drive across the island for an overnight stay close to the airport before the flight home.